I was so proud of you all here! Well done! Thank you Mr Banfield, Mrs Pablos, Miss Clarke and Miss Bailey. i liked it when i was speaking and showing the parents the moustash . I liked it too so much and I think your comment was cool. my favorite part was when we put our moustashes on . my favourite part was when we were singing because it was fun. My favourite part was when we were singing. I also enjoyed when the dancers were dancing to the Anglo-Saxon music. We also enjoyed when we put on the moustaches. ._. I also thought the dancers were great! my favourite part was when all the parents started to giggle at us all!!! I was giggling too Ollie! The bug hunt was amazing. Do you remember seeing the huge buzzard flying? We missed your smile Meharica! My favourite part was when i got to speak about all of the wonderful things we did this year! My favourite thing i did was go on the bug hunt with Bryony. It was so exciting when we did the assembly my favourite part was when we sang we will rock you because it is like a rap. I know you love rap Theo! i loved all the songs and it was funny when all the parents giggled at us when we put are moustaches on it was soooooooooo funny , i also loved we will we will rock you….. 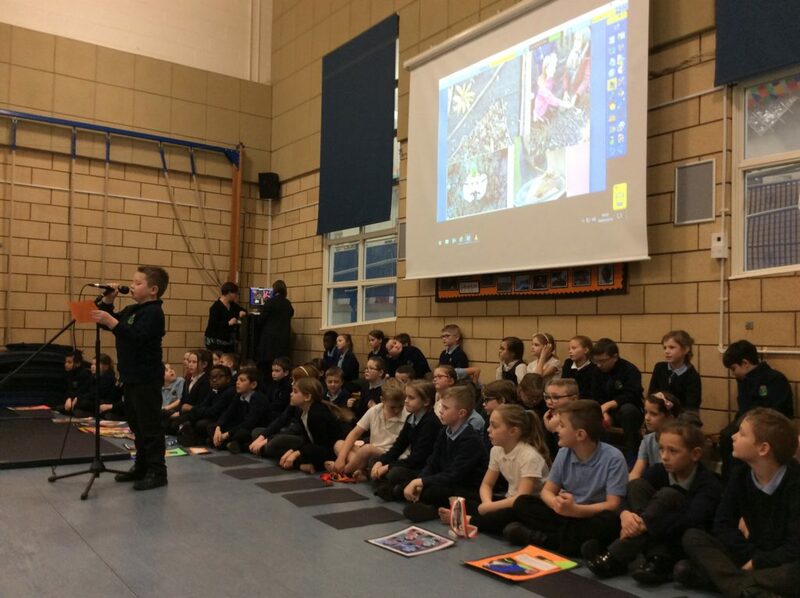 This was great fun and my favourite part is when everyone turned around and put on the fury moustaches.The assembly was great and my favourite thing was when we sang and put up our posters. My favourite part was when we sang we will rock you and when we put on our hairy, charcoal black moustache’s .Also sharing my artwork of Freddie Mercury. i like the champion song and the moustach.